Informix-List is an electronic mailing list dedicated to the discussion of Informix software and related subjects. Topics include all of the Informix offerings, from C-ISAM to NewEra, plus third-party products. Informix-list is built on the Majordomo List Server platform. Membership in the list is open to IIUG Members. There is no subscription or registration fee. The list is unmoderated, so members are solely responsible for its content. All contributions are welcome, so long as they emphasize substantive information. Note: The Informix-List Mail List is gatewayed to the Usenet newsgroup comp.databases.informix (CDI). All articles posted to that newsgroup are automatically sent to the mailing list, and vice versa. If you have access to one, then you don't need to subscribe to the other. An average of 1500-2000 messages are posted/gatewayed to the list each month. Since Informix-list is gatewayed to comp.databases.informix, you can find Informix-List messages in the Searchable CDI Archive. This archive contains all articles posted to comp.databases.informix since 1991. IIUG members can subscribe by visiting the Upgrade your Profile page. Once you have logged into the IIUG member area, click on the "Subscribe to E-Mail Lists" button and select or de-select the check box next to informix-list, depending on if you are subscribing or unsubscribing. Once subscribed, you will receive email generated by other subscribers of the list, and you can send email to the list by addressing your email to informix-list@iiug.org. 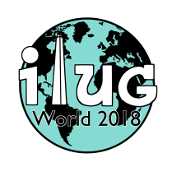 To contact the list's manager send e-mail to informix-list-manager@iiug.org.